The Coca-Cola Co (NYSE:KO) CEO Muhtar Kent “have destroyed shareholder value”, according to a statement from Wintergreen Advisers, an investment firm that owns 1 percent share in Coca Cola, in an analysis it released concerning the beverage maker’s performance. Saying that Kent “is incapable of leading coke’s turnaround and should be replaced”, Wintergreen have argued that an amount of $16.3 billion was incurred by shareholders in relation to the company’s failed acquisitions under the CEO. The investment firm added that the company’s current compensation guidelines could result in unjust compensation for its top managers, and corresponding cost of $10.20 per share will be incurred by shareholders as an effect of emphasis on cash bonuses. In an email to Reuters, The Coca-Cola Co (NYSE:KO) have denied the claims made by Wintergreen, saying that the company under the management of Kent has set out significant strategies to sustain growth and achieve value for shareholders. According to Wintergreen, The Coca-Cola Co (NYSE:KO)’s acquisition of Glaceau, the company that manufactures Vitaminwater, as well as the takeover of Coca-Cola Enterprises Inc’s North American business, cost shareholders an amount of $16.3 billion. 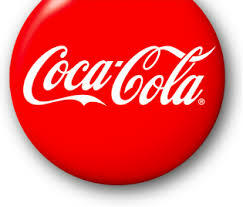 In 2007, the former was bought by Coca-Cola for $4.1 billion, while the latter’s 2010 takeover cost $12.2 billion. Wintergreen sees the beverage company as “routinely outspending its cash flow”. Data compiled by Bloomberg indicates that Coca-Cola has about $10.8 billion of cash flow from operations and about $11.6 billion of dividends, buybacks, and capital spending for the year ended September 30. Wintergreen also noted that the combined 102 years of tenure for three members of The Coca-Cola Co (NYSE:KO)’s directorial board is adversarial to the interest of shareholders. The advisory firms reckons the issues it raised to be causing discounts of $30 to $38 to Coca-Cola’s share. Without the discounts, the share would amount to a value of around $74 to $82, in line with Nomura Securities analyst Ian Shackleton’s estimates of $90 value in an LBO setting.